Are you getting high volume traffic but less page views? If yes then today we're having an awesome trick by which you can increase your page views. Their can be several reasons for less page views such that user might not be getting desired stuff on your blog, low number of connected pages, blog design issue (not allowing user to see the content properly thus decreasing average time on blog). If your content is not engaging and relevant then there will be surely less page views. As you know that one page view is counted when a web page loads a single time. Say you opened CrunchyTricks now it will be counted as one page view. Further if you refreshed it 15 times then there will be 15 more page views but number of unique visitor will be only 1. But don't worry there's a solution for it. If your website keep on refreshing after a fixed interval of time then you would receive enough page views from a single user only. So first of all let's talk about auto page refresh system. 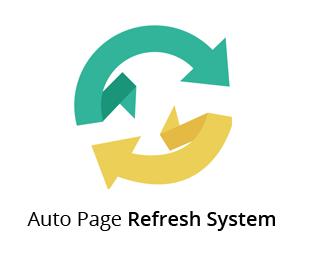 What Is Auto Page Refresh System? It's nothing but a meta tag which is going to be embedded in your HTML code. You can specify time in it. After a specific time interval your web page will get refreshed automatically. This would generate one page view for you. If time interval is set to 2 minutes then a user spending 10 minutes on your website is going to provide 5 page views. Thus this way you can increase page views of your blog. Read below how you can implement it on your blog. First of all navigate to blogger.com. Login with your Gmail account user name and password. After that select Template from left sidebar and click on Edit HTML button. Now click anywhere in the code and press Ctrl+F. This will open a search window, simply search for </head> in the template coding and hit enter. After that paste the following code above </head> tag. Now your blog will refresh automatically after 100 seconds. You can customize this time according to your need. Once all set then click on Save template button. So this was all about implementing auto page refresh in blogger. If you've any doubt or query then feel free to leave a comment below in the comment section. Auto page refresh for blogger is valid? Is violate adsense policy?